Workforce management software is designed to streamline the scheduling, timekeeping and day-to-day management of your employees. By simplifying shift and schedule planning and managing time off, it optimizes employee on-the-job productivity and helps you control labor costs. Most also interface with other business tools like payroll software, CRM, or POS systems. Homebase (Best Overall) Businesses needing hourly shift scheduling, time tracking, and communication—for free. Deputy Businesses that adjust schedules for weather and traffic patterns or need invoicing and integrations. When I Work Industries where schedule changes must be approved in advance; free up to 75 users. Zoho People Businesses that manage employee performance in addition to time, scheduling, and communication. Paycor Perform Businesses that want HR/payroll software with scheduling, time tracking, and performance management included. Humanity Shift-related businesses with complex schedules that need to resolve scheduling conflicts quickly. Workforce management software includes a broad range of employee management tools that may overlap with more traditional human resources information systems (HRIS). The difference is that workforce management software is focused on day-to-day operations and workplace performance whereas payroll or HR software is often more focused on labor law compliance and employee benefits. We recommend Homebase as best overall software for small business workforce management. Homebase provides easy-to-use communication tools, scheduling software, and time and attendance tracking. It’s also free for small businesses that have only one physical location or that have employees clock in remotely. We recommend Homebase as the best workforce management software for any type of business, from a brick-and-mortar restaurant or retail store, to a service provider whose employees need to clock in using their mobile phones from a remote job site. That’s because Homebase is free to small businesses and has shift scheduling with GPS controls to prevent workers from signing in before arriving at work. Other tools, like When I Work, are free for scheduling, but require payment if you want time clock features too. 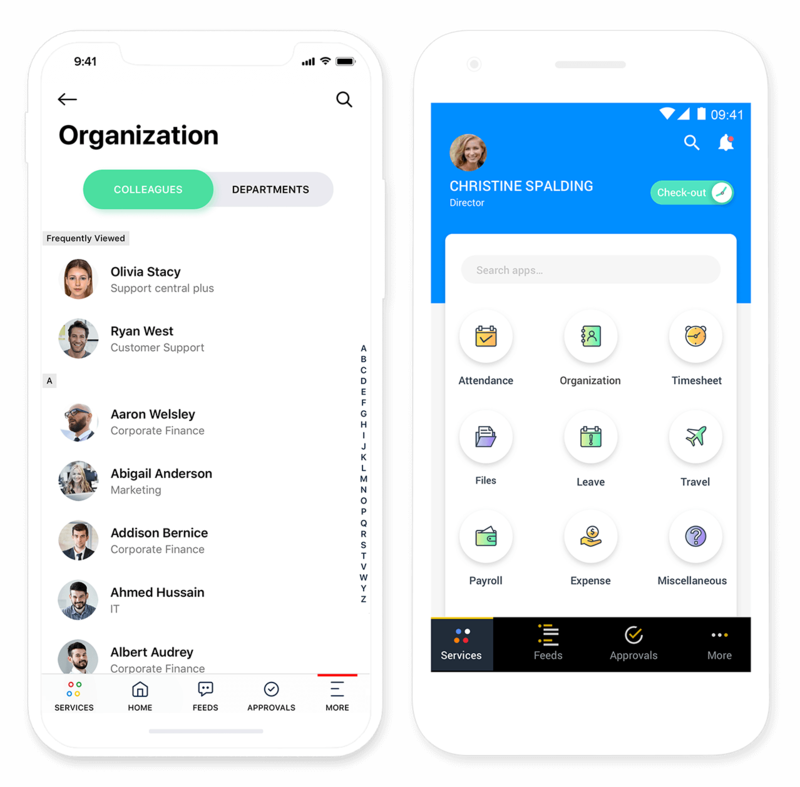 In addition, its drag-and-drop interface and cool employee communication options keep you in touch with employees so that everyone’s on the same page when work requirements or shifts change. Homebase is free if you have only one location or if you have all your employees clock in using the mobile app. Otherwise, it’s priced by job site from $19.95 to $49.95 per month per physical work location—with an unlimited number of employees included. That’s the best price you’ll get in the industry for a tool this robust. 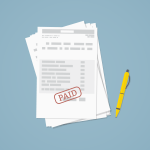 The only real differences in the paid plans are increased reporting and customization. Therefore, you may as well start with a free plan, check it out, and upgrade later. They don’t even require a credit card to sign up. Homebase lets you build employee schedules by using a template or by duplicating schedules from a prior week. Therefore, if your days and shift remain relatively stable, you’ll only build the overall schedule once. After that, you can drag and drop employees into shifts. You can also monitor employee attendance and get a notification if they fail to clock in. In addition, Homebase has a built-in tool for employee communication, keeping everyone in the loop when work requirements or scheduling issues occur. In fact, they’ve recently added a recruiting tool to help you find hourly employees to fill out your schedule using popular job boards. Homebase makes scheduling easy from a dashboard that allows you to view the schedule by day, week or month. You can also choose to view an individual team member’s availability weeks in advance. Additionally, team members can input their availability and submit time-off requests to prevent you from scheduling someone who’s going to be out on vacation on a given day or week. 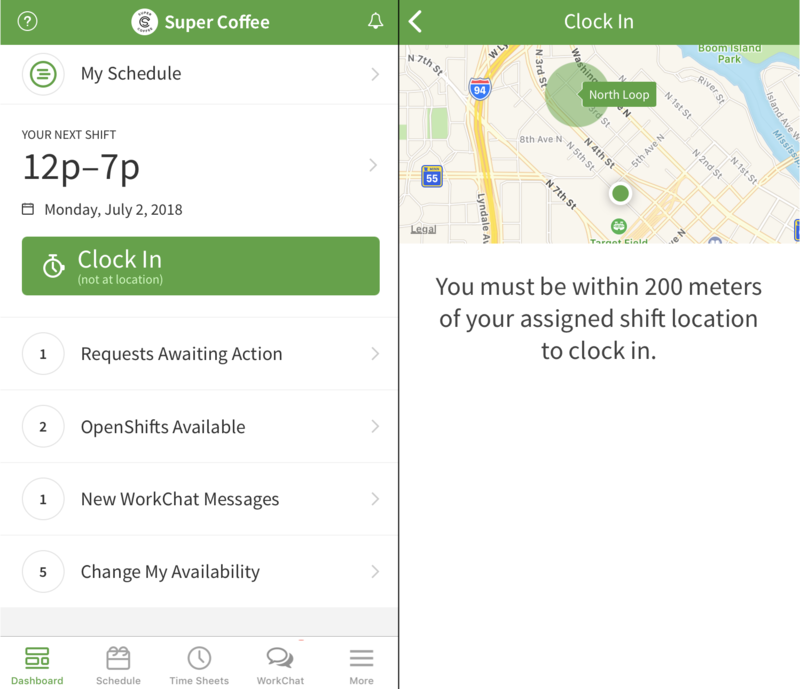 Once your schedule is built, you can send it to team members, allow shift swapping and notify employees when you need someone to fill an open shift. The timekeeping tools in Homebase are easy to use for employees and managers alike. Employees can clock in remotely from their phone, or you can set up a kiosk at your workplace for employees to sign in onsite. You can then compare hours scheduled versus hours worked. If you upgrade to one of the paid plans, you’ll be able to send text reminders to employees, such as messages about changes affecting their shift. When you upgrade to a paid plan, you’ll be able to use more advanced features like preventing early clock-ins and having your managers approve time sheets. You’ll also get labor cost reports by upgrading. The team communication and messaging features of Homebase make it stand out as a workforce management tool. You can send everyone a message, such as to wear company apparel on a day when photos are being taken, or to bring snacks in for those having a birthday this month. You can also receive alerts for key activities, such as when someone hits their overtime hours limit. With the Plus plan, you can even set up message read receipts, so you’ll know whether employees got the message, such as to come in early on Saturday for training. The messaging options with Homebase help you collect employee feedback or text employees directly from a manager dashboard. Using Homebase, you don’t need to rely on your employees (many who prefer to text rather than use phone or email) to check their email or voicemail daily. And you save yourself time from spending time making phone calls for routine issues, such as a reminder to pick up equipment or lock up properly at the end of the night. Homebase has plenty of integrations from job boards like Indeed to productivity tools like G Suite. For example, if you use our top recommended payroll provider, Gusto, you’ll find that you can easily export time worked from Homebase into Gusto for seamless payroll processing. If you’re in retail, you can integrate Homebase with POS systems like Lightspeed and Square to support reporting. Homebase even has an employee performance widget that gives you access to information about your employees that you may need at a glance, such as their emergency contact information. Homebase provides free phone support and online chat in addition to email support. They’ll answer the phone or chat from 9 a.m. to 7 p.m. CST during the week. Otherwise, they’ll reply within 24 hours. They also provide step-by-step guides for managers and team members so employees can manage their own data, change their profile photo and essentially onboard themselves. The Homebase support page includes a FAQ, video guides and helpful information to get started. The only thing missing with Homebase is support on the weekend. Since many of their customers are in restaurants, retail and other service industries that have weekend hours, that could be a problem. Of course, their support page offers self-service resources that may have the answers you need. You might think that free software would get poor reviews, but that’s not the case with Homebase. Across all third-party review sites, including ours, Homebase consistently earns five out of five stars. Some find there’s a small learning curve. We like Homebase because of its ease of use and integrations to business software you’re already using, like Gusto and Square. 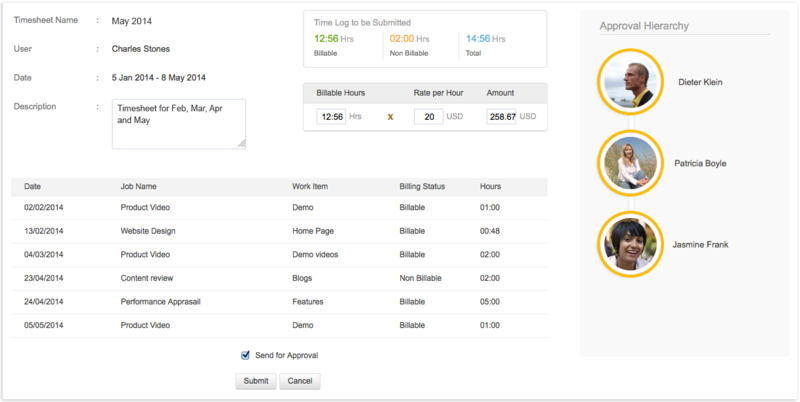 Its labor costing features can really improve your decision-making, and then adjusting schedules and capturing work hours is easy! Being free for one location with unlimited users also makes it hard to resist. We recommend Deputy as the best workforce management software for businesses looking to integrate it with other apps because of its huge range of third-party app integrations, such as to accounting software, POS, payroll, Zapier and many others. These are in addition to its scheduling templates, easy-to-use platform and communication options. It’s priced on par with the paid versions of Homebase and When I Work, but doesn’t have a free plan like they do. As a bonus, it provides payroll estimates and weather forecasts to help you plan your workforce needs based on what you anticipate your customer traffic to be. Deputy has three tiers—Starter, Premium, and Enterprise—that range in price from $1 per month to $6 per month per employee. For small businesses, the Enterprise model doesn’t really make sense, so we will focus on comparing the Starter, at only $1 per user per month, to the Premium, at $3 per user per month. The Starter tier has really basic features, even fewer than the free version of Homebase. Therefore, we recommend the Premium level, which includes everything in the Starter level plus much more for only $3 per month per employee. However, that costs more than Homebase once you start adding staff, since Homebase charges by location, not by number of employees, and is free if you have only one location. Deputy also has an Enterprise level that costs $6 per user per month. 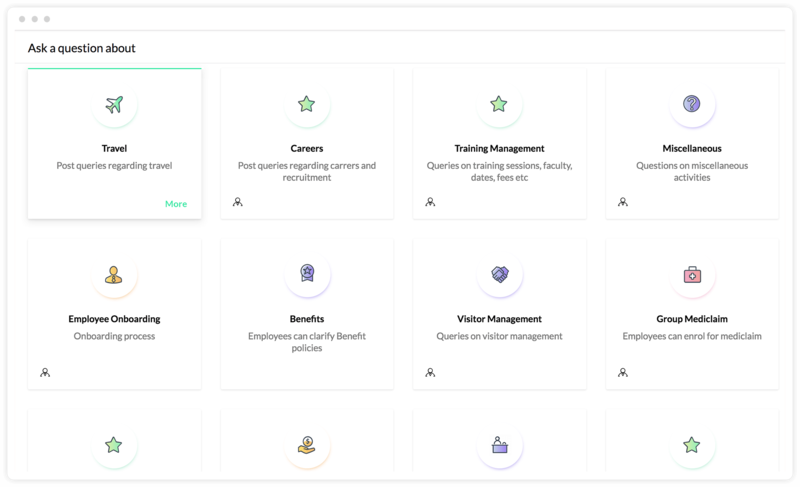 It adds some HR functions like training and customizing roles and permission levels, and is worth upgrading to if you want options like performance feedback such as those that are included in alternative employee management tools like Zoho People. Deputy has great features such as scheduling, assigning tasks, a news feed, and email notifications. But you have to upgrade to get the time clock and payroll integrations, which come free with Homebase. However, if you’re looking for a complete solution that includes employee performance feedback, leave tracking, customer billing, and robust labor cost reporting, it may make sense to step up to a higher tier. Like Homebase, Deputy manages shift swapping for your employees. Deputy also has a weather forecasting system, so you can modify your schedule if you think foot traffic will be light due to inclement weather. Another thing that made Deputy stand out from some of the other workforce management systems is that you have the option to choose pre-loaded sample data from six different industries (restaurant, bar, etc. ), or use your own. This is helpful to a new business building its first schedule. Deputy has self-service availability and time off tracking. However, Deputy, like Homebase, goes the extra mile by offering mobile clock-in with geolocation to prevent time theft. Deputy adds facial recognition for iPad/tablet clock-ins. 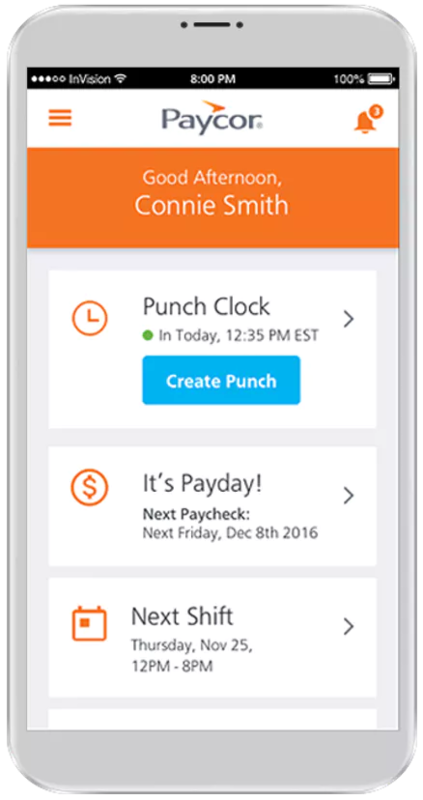 Similar to Homebase, Deputy provides auto-alerts for overtime and hourly limits and time sheet approval. Here is a screenshot of the time sheet approval function in Deputy; you can see it includes a location for where the person was supposed to work. Like Homebase, Deputy provides robust communication tools for you and employees to stay in touch. There’s a news feed option that lets you post information for your whole team, such as when you plan to open late due to bad weather, or need to remind employees to order new uniforms. 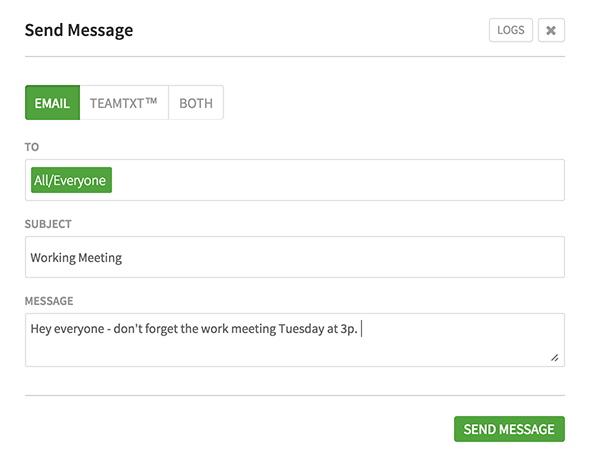 You can also assign tasks to employees, and send SMS/email notifications. Here is a screenshot of the Deputy news feed; as you can see, you can attach documents and there is also a confirmation on which of your employees has viewed it. Like Homebase, Deputy allows you to share performance feedback real-time, as a way to motivate your employees to keep doing a great job. Deputy even has a journal function, which tracks your performance management documentation. Above is a screenshot from Deputy of what happens when you click into an employee’s profile, and then select the “journal” function, which operates as a performance management document. All of these employee management software systems provide labor cost reports and other automatic alerts (like overtime). However, Deputy shines through with some unique features over Homebase, such as real-time cost estimates and weather forecasts. It can also create graphs that predict shift costs and wages versus historical sales, which would be really useful if you run a restaurant, bar, or other business with seasonal traffic. Above is a screenshot of all the information you are given on the costs, sales, and traffic the moment you click on the Schedules tab. Deputy’s add-on and integration options could make a difference in your purchase choice between it and other workforce management software. While it integrates with some of the same tools Homebase does (Gusto, Square), it has many more integration options into payroll software like ADP and Paychex. One of the features it has, that Homebase doesn’t, is the ability to invoice customers through its accounting add-ons to software like QuickBooks and Xero, and nine POS systems. Deputy provides 24/7 phone and chat support; its support chat window is easy to find in the bottom right-hand corner of the screen. Deputy also has an ample amount of online knowledge and sends several emails to help onboard you with links to webinars and lessons. We recommend keeping these emails in case you need to come back to their content later. The downside to Deputy runs parallel to its upside—it integrates with over 35 partners (and many more using Zapier and their API and Zapier). Because of that, it does take a bit longer to set up than Homebase or When I Work. Plus, it gets more and more expensive as you add employees, whereas all of Homebase’s pricing tiers (even the free version) allow unlimited employees. Like Homebase, Deputy earns five out of five stars on most review sites including ours. The only downside appears to be its exporting and interface options that aren’t as smooth as some users would like. If you’re looking for software that helps you forecast your labor costs, adjust schedules when the weather changes, and provide performance feedback to your workers, Deputy may be a great fit. And, if you upgrade to the Enterprise tier, you’ll even get customization, robust reporting, customer billing and interfaces to nearly any business software you currently use. We recommend When I Work for those who want employee management software that allows fast and easy schedule changes, like healthcare services and restaurants, with management approvals. In fact, When I Work’s scheduling software is free, which makes it great for nonprofits that may be tracking schedules or time worked. Once you get past 75 employees, you can upgrade to a paid plan, similar to Deputy. When I Work, like Homebase and Deputy, provides a schedule builder, manages employee availability and time off, allows shift trading and has mobile apps. It also offers a time clock and attendance app that makes it easy for employees to sign in for their shifts. 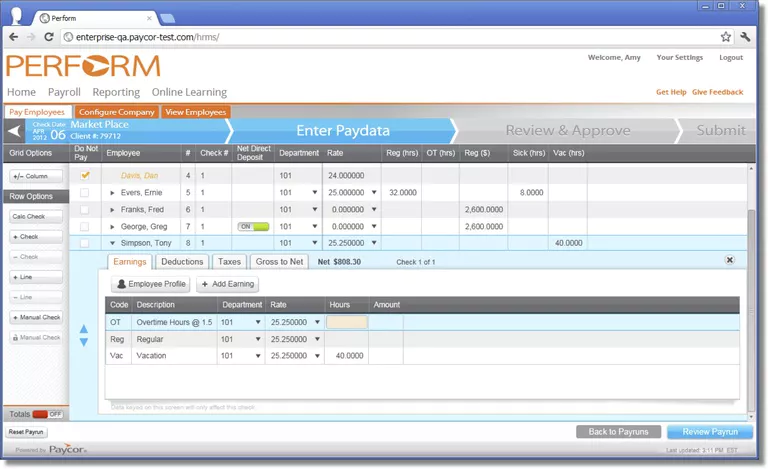 In fact, the user interface makes adding employees and shift changes easy. 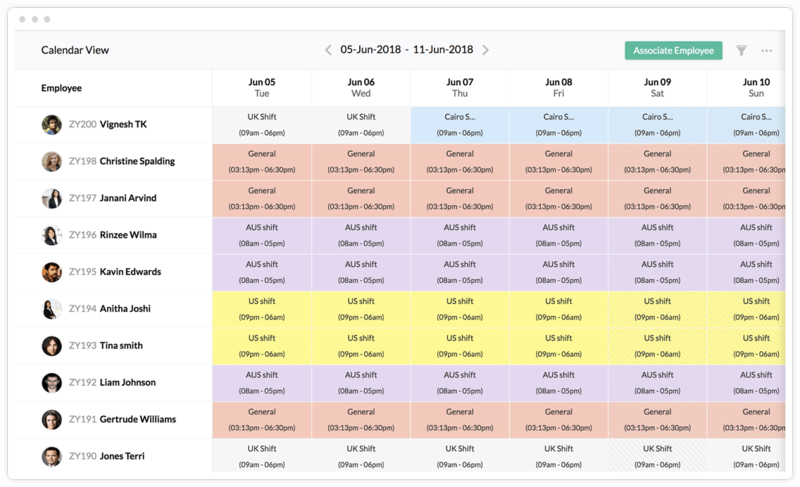 The scheduling features within When I Work have some nice little upgrades over other scheduling software, including the ability to set recurring shifts and color-code different positions. It’s great for restaurants or any business or nonprofit where people come to you, such as a museum or retail store. It also allows you to set up remote locations with GPS, and you can even include job instructions. That makes it super if you do offsite work like catering and need to provide workers with location-specific information, like the gate code of the subdivision. The timekeeping software that lets employees clock in and clock out is included in the free version; and costs $1.30 per month per employee extra if you purchase a paid plan. However, what’s offered in each of the plans is the same otherwise. When I Work has a text messaging feature you can add on. That is in addition to its feature that lets you send a mass email (although workers can’t reply to it). The email feature is included with all plans, but the text message service requires you to purchase credits with costs that start about $.03 per text message. 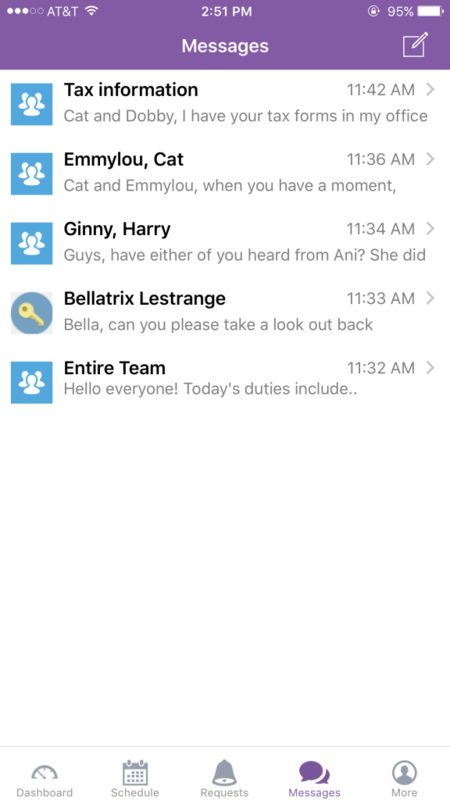 Otherwise, you can use the workchat feature, which sends messages through the app for free, but doesn’t provide for individual customized text messages. Like Homebase and Deputy, When I Work integrates with POS vendors like Square and VendPOS. It also has payroll and accounting software integration to vendors like QuickBooks, ADP and Gusto, our recommended payroll provider. With When I Work, you and your employees will have access to email or chat support seven days a week. Their hours are Monday through Friday, 7 a.m. – 7:30 p.m. CST, and on weekends from 9 a.m. – 6 p.m. You can also view training videos online or schedule training in person for you and your team. Although When I Work has most of the same features as Homebase and Deputy, it doesn’t offer an alert if someone logs in before their scheduled shift, and some find it pricey if you have a lot of employees, as compared to Homebase that doesn’t increase its prices based on headcount. Also, the iOS and Android apps aren’t exactly the same, which can be confusing to managers providing training. And it lacks the performance management and feedback options that Homebase and Deputy provide. Employees especially like how easy it is to use When I Work, and that their schedules sync to their calendar. Administrators and managers rave about their customer service. And like Homebase and Deputy, When I Work earns five out of five stars on third-party reviews sites like ours. 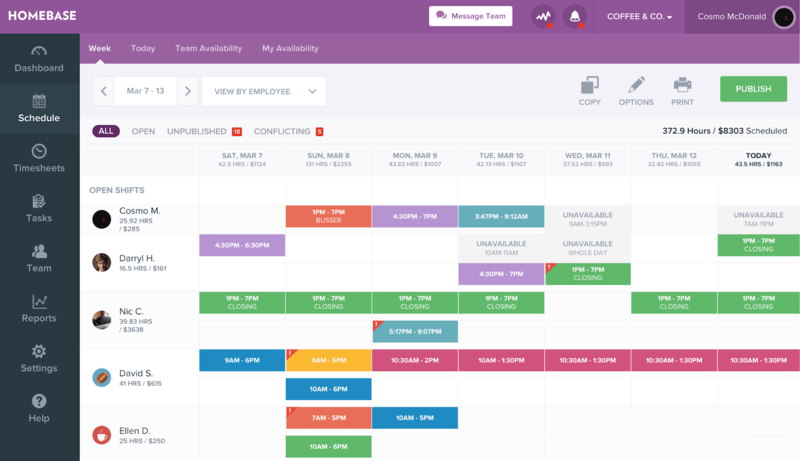 If you’re looking for robust scheduling software that’s easy for employees to use, and that’s free if you have fewer than 75 employees, When I Work is your best option, especially if your workers work in multiple locations, which would cost extra with Homebase. Adding timekeeping costs just $1 per month more per worker. We recommend Zoho People for small businesses that want to do more with their workforce management software than schedule employees and track their time. Zoho People is best for employers that want to add HR and performance management functionality while keeping their costs about the same as they’d pay for software like Deputy. Zoho People is HR software that can track attendance, leave and shifts, like the other employee management software we’ve reviewed. But it does more, like provide professional performance reviews, as shown below. For the features most businesses are looking for in workforce management software, Zoho costs between $1 and $3 per month per employee. That is a great price, as you get so much more than timekeeping and scheduling alone. The Premium tier at $3 provides performance management and integrates with Zoho Reports. If you upgrade to an Enterprise plan for $5 per month per employee, you’ll get a full performance management system, including 360-degree and multi-rater feedback on your team members, making annual reviews and pay increases a breeze. *Zoho People is free if you have fewer than five employees, and they provide discounts if you pay annually. Zoho People also has a Forever Free plan for a business with five or fewer employees, but it only includes HR data, document and leave management—not the full employee management software most small businesses would need. Zoho People starts as an HR system that includes employee information and a self-service login screen for employees to manage the data and request time off. 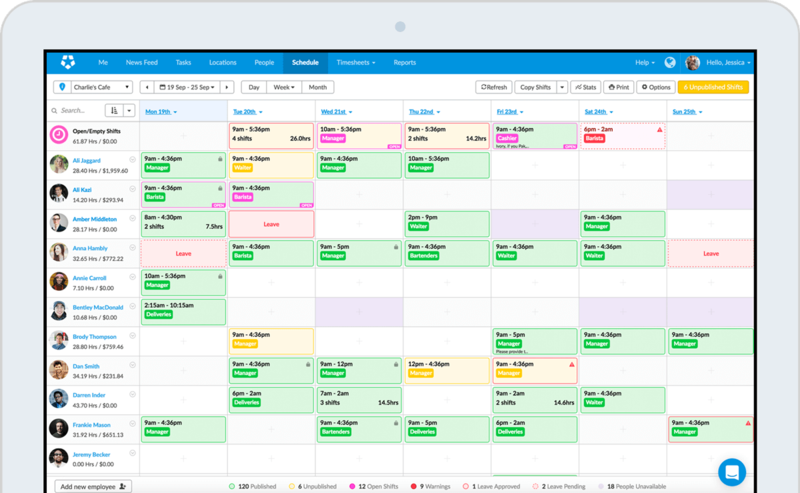 Once you upgrade to the Professional plan, you get time sheets and attendance tracking. 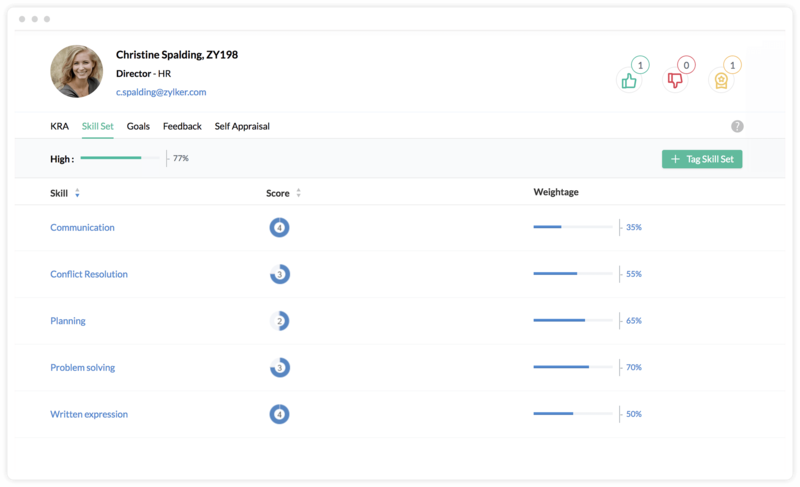 At the Premium tier, which is what we recommend for small business employee management software, you get performance management and reporting along with shift scheduling. Here’s a much more detailed comparison of features you get across all plans. 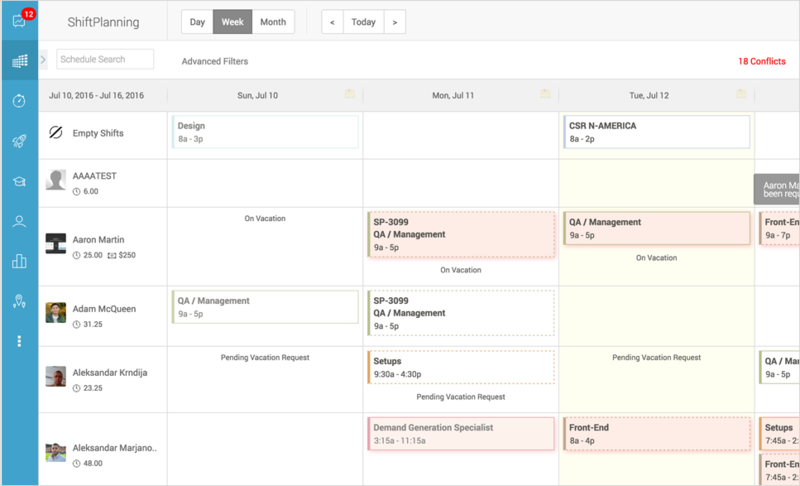 Like the other workforce management software, shift scheduling with Zoho People lets you plan your shifts in advance. It uses a drag-and-drop interface to schedule employees into those shifts, similar to Homebase and When I Work. The premium package allows you to schedule jobs for businesses that make customer or client appointments in advance. 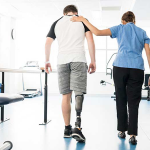 The timekeeping and attendance tracking features kick in with the Professional plan, and include biometric integrations in addition to standard clock in and clock out features. And time approvals are built into Zoho People to ensure that overtime or other changes are approved in advance. In fact, Zoho People gives you time tracking functions that can be broken into tasks, with data stored in a time sheet like the one shown above. That’s great if you track billable and non-billable hours and need to use that data to create customer invoices, like you can also do in Deputy. The communication features on Zoho People are employee-centric, meaning they allow employees to ask questions about anything from training they need to their schedule. Of course, you can also blast an email message to the team or send a message to a subset of workers, such as employees staffing a trade show. If you want text chat, Zoho, among its many other offerings, provides a tool called Cliq that lets you send internal messages, team chat and even host audio, video and screen-sharing calls with your team. It’s free for an unlimited number of users. 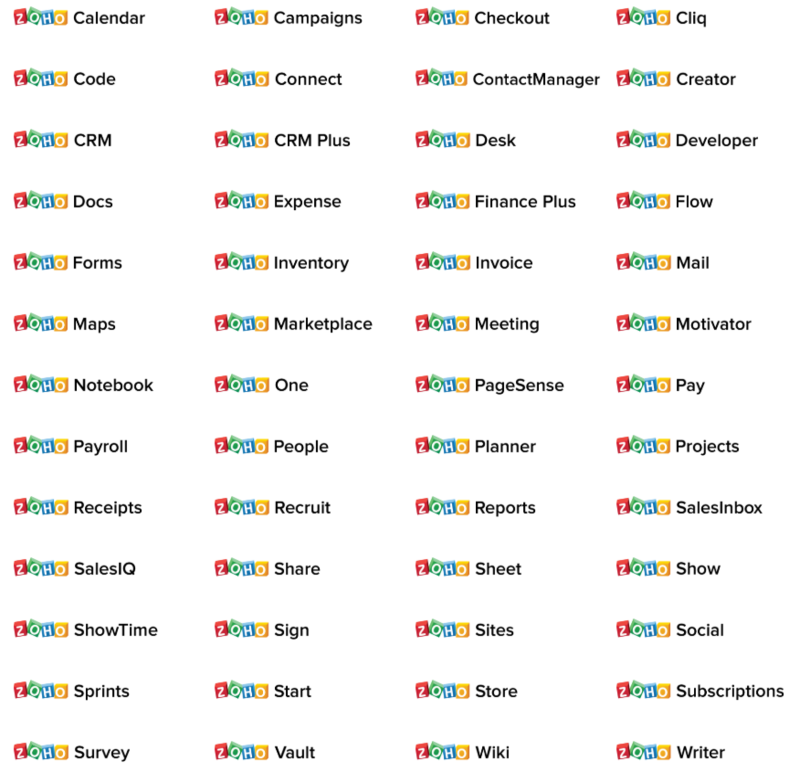 Zoho People integrates with all the Zoho apps, and there are plenty! However, it also integrates with G Suite, MS Office and other applications using web forms—although when using web forms, you’ll have to set up your rules and forms on your own. Zoho provides many options for integrated business software to manage your workforce. Zoho is also willing to assist you with any software integrations you need. You simply email the support team for assistance. Zoho provides support via email for its free plan. Otherwise, all plans provide live chat support for administrators, as well as email and phone support for all users, such as employees and managers. They also provide two to five hours of onboarding support for you to get your data and team set up, depending on which package you purchase. Zoho People lacks built-in integration to the most common payroll, POS and accounting systems used by U.S.-based small business owners, like Gusto, ADP, Square, and QuickBooks. Zoho People is a bit newer than some of the other tools and has fewer reviews compared to Deputy, Homebase and When I Work. However, the reviews range from 4 to 4.5 out of 5 stars, so they’re doing something right. What businesses like is having all the data in one place. What some don’t like is how Zoho modularizes all its apps. Thus, a feature you need, like chat (even if it’s free), requires you to add on another module. We’re fans of the entire suite of Zoho products due to their affordability and integrations. Zoho People is a great example. For just a few dollars a month per employee, you get an HR suite. That comes with employee data plus scheduling, timekeeping, and performance management, and you can add text chat for free. We recommend Paycor Perform for growing businesses that want a broader employee management software option that falls into the HRIS category. Paycor provides full-service HR employee workforce management software at a mid-tier price point. It has timekeeping and scheduling as well as an employee portal, similar to what Zoho People provides. But it also includes a complete HR database, payroll processing, benefits management, performance management, and applicant tracking tools. Therefore, for the cost of many payroll software tools alone, you get full employee life cycle tools for your workforce management, all in one place, with no need to purchase individual software for payroll, benefits and timekeeping. Paycor Perform starts at only $49 per month for 10 or fewer employees and goes up based on the number of employees you have. They don’t provide pricing online, so you’ll need to get a quote based on the exact feature set you need. But as a point of comparison, Paycor in general costs about half the price of ADP, and just a few dollars more than most timekeeping and scheduling software alone. Paycor’s pricing lets you start small, at a low price, and then add all the robust features you need as you scale from 10 to 10,000 employees. Paycor Perform, somewhat like Zoho People, has modules that work together, and you can turn them on or off as you need. For the purposes of this article, we’ll keep our comparison relevant to workforce management. But Paycor Perform provides so much more when you’re ready. For example, they have performance management, a training portal, benefits options for your staff, an applicant tracking system and workforce insight reports. 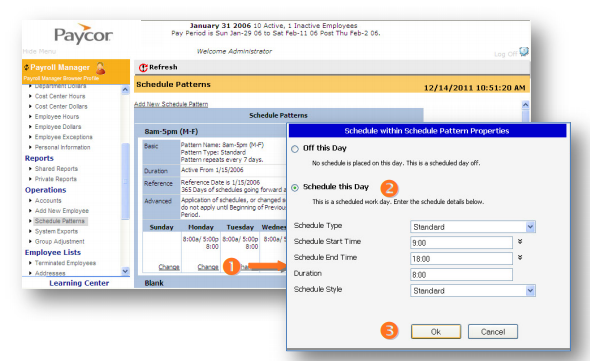 Paycor lets you create a schedule by setting the dates, cycle, and pattern. In that way, it’s a little less intuitive than drag-and-drop software like Homebase and When I Work, which let you start with a template. It’s also going to take more time if your schedule changes often, as is common with restaurant shift changes and non-office businesses that work ad-hoc locations like craft fairs and trade shows. Paycor Perform’s time and attendance feature provides a unified platform that keeps data in sync across your timekeeping and payroll functions. You can see employee time off and vacation requests, and employees have a self-service option to input their time. Similar to Homebase, you can set up your timekeeping up via time clock, website, kiosk or mobile app. Like Homebase, you’ll also get just-in-time alerts and messaging, such as when employees forget to clock in or workers are approaching overtime limits. Like Deputy and Homebase, you can set up locations so that workers must be at (or very near) the job site before they sign in. With Paycor Perform, you can communicate with employees through a secure self-service employee portal, and managers and employees can communicate with one another using the desktop or mobile app. Paycor, in fact, has written a guide on why employee communication is so important. However, they lack text chat options like some of the other tools have. Paycor, being more established and providing a full suite of employee management software options, provides multiple integrations as well. Of course, you won’t need to link to a payroll, benefits or workers’ compensation provider as they can do all that for you. Instead, they partner with banks, health care providers, insurance companies and paycard vendors in support of their full-service tools. Paycor provides support through their HR center of excellence. They’re open Monday through Friday, 8 a.m. to 5 p.m. EST, and can be reached by phone or through an online service request. Paycor Perform lacks the shift scheduling options that many small businesses in restaurant and retail may need. Therefore, you’d want to use a free one, like When I Work, and then feed the data into Paycor for a full solution. They also have no support on the weekends. However, for businesses that have mostly Monday to Friday office or staff workers, like an insurance agency or consulting organization, it’s a great option. Paycor’s user reviews are across the board, with most being in the four to five out of five star range. Some sites give it lower ratings as compared to other HR only software, and others recommend better benefits software. As an all-in-one employee management tool, however, it holds its own. Small business users rate it five out of five stars on our reviews page. If you’re looking for employee management software that starts from the time you post a job and manages the employee throughout their entire life cycle, Paycor Perform is our top recommendation. It does timekeeping, scheduling, payroll, benefits, applicant tracking and learning management—all in one affordable system that easy to set up and use. We recommend Humanity for companies and nonprofits that want to give employees a say in their scheduling to prevent and resolve scheduling conflicts. It’s priced on the lower end, although it’s not free like Homebase. Humanity checks for conflicts real-time, so you don’t have to go back and forth with staff to fill your schedule. 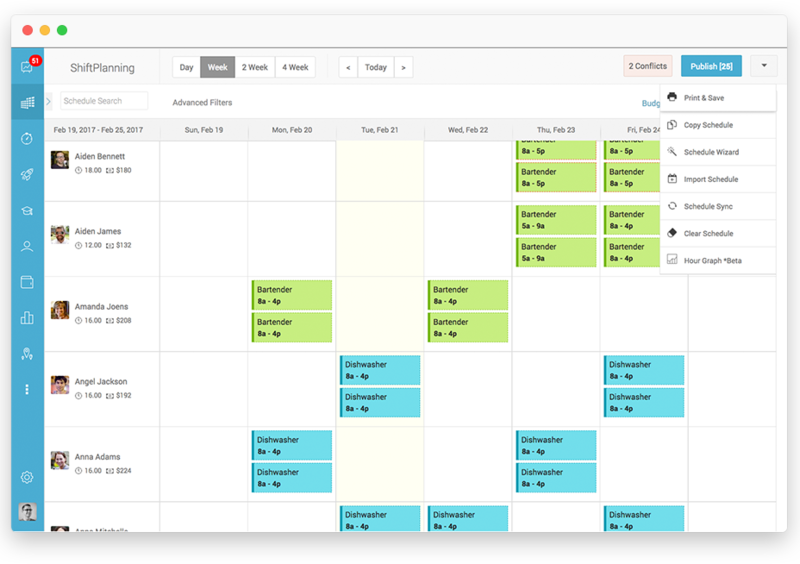 You can build flexible schedules across locations and departments, and even schedule by job role and skill set. Like all the other tools reviewed, it also includes time and attendance tracking, leave management, and forecasting using your existing POS or business data. It’s HR and employee management software that improves job satisfaction. And the user interface is pretty slick too. Humanity also adds payroll integrations, customer branding and a few other HR features like a learning management system to provide onboarding and training to your staff. In that way, it’s more like Zoho People and Paycor Perform. Humanity is priced in the same $2 to $3 per month per user sweet spot similar to the other paid workforce management software packages we reviewed above. To get the time and attendance, task management, leaves, approvals, and payroll integration, you’d need to upgrade to the Classic tier. That’s the one we recommend for small business employee management. Humanity has a $60 monthly minimum. Therefore, if you have fewer than 20 employees, you may find that one of the tools like Homebase or When I Work is a better value. 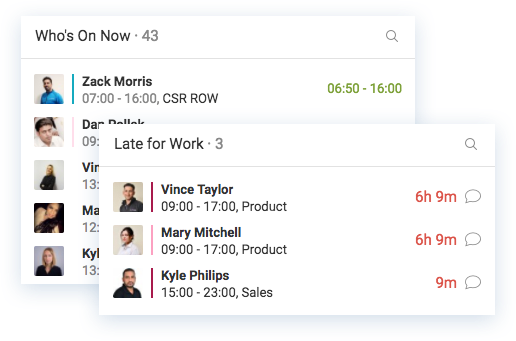 Humanity has the scheduling and timekeeping features that the other workforce management software we’ve reviewed has. It also provides individual and team communication. Like Zoho People, it has some HR functionality. But it adds options in the Enterprise platform that make it move closer to an HRIS like Paycor, although it lacks the direct payroll processing or benefits management features that Paycor Perform provides. Humanity makes it easy for small businesses to build a schedule like Homebase and When I Work; employees can trade shifts and request vacation time. 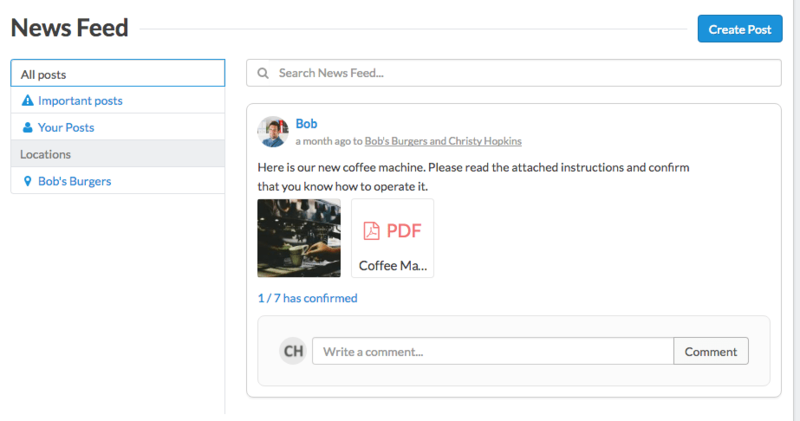 While scheduling, you can text chat with your workers and even post open shifts they can fill. 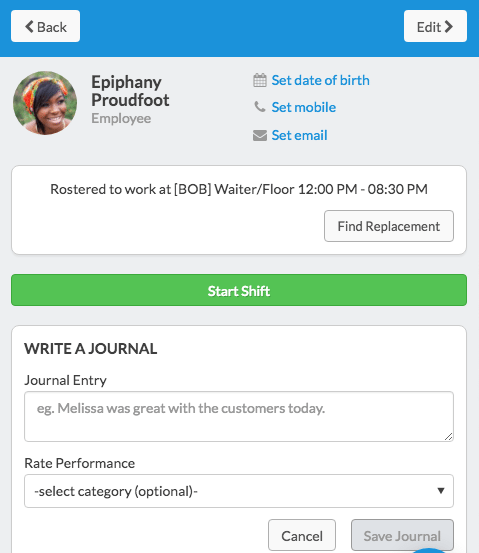 Employees can see their schedules from anywhere and request shift trades independently. They’ll also get shift reminders saving you from having to make reminder phone calls. Humanity provides an intuitive timekeeping system that provides accurate time sheets you can export to your payroll system. You’ll know who’s shown up, failed to punch in or is late for work, and employees can clock in using any format that best suits your business, such as the mobile app or a kiosk you set up in your store. Humanity provides employees with a dashboard and a message wall. Like Homebase, they can also send and receive messages via text or email. Humanity provides a POS integration to Square, but their HR integrations are into much pricer HR tools like Workday and Namely, instead of the lower-cost providers that we recommend for small businesses, like Gusto and Justworks. They do interface with many other payroll providers like ADP, accounting software like QuickBooks, PEO vendors like ADP Total Source and TriNet, and banks like Wells Fargo. Humanity provides live support by phone and text chat 24/7. The feature most lacking in Humanity is that you have to upgrade to their most expensive tier, Enterprise, with custom pricing before you can integrate your timekeeping data with payroll. That’s in contrast to free tools like Homebase that have a free integration with top-rated payroll providers including Gusto and Paycor, which are about half the cost of ADP. Humanity earns four to five out of five stars. What users like best is that it can manage complex scheduling without a lot of workarounds. What they like least is that some of the icons and features are hard to see; some employee-users complain that the shift trading features aren’t as easy to use as they’d hoped. 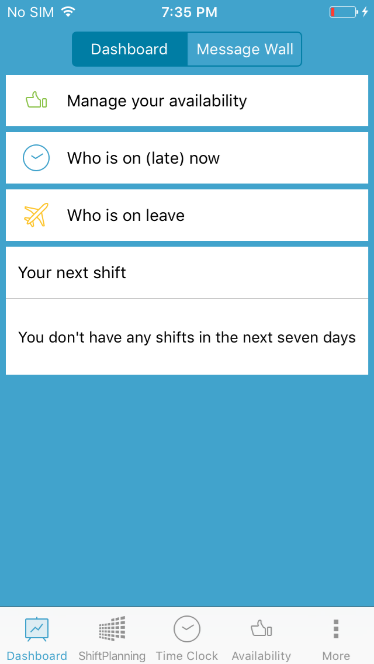 If you’re looking for a low-cost tool to plan shifts, allow shift trading, schedule rotating shifts, and track time and attendance all via mobile app, then Humanity is a good choice at a fair price. And because they offer onboarding, training and robust reporting, Humanity may be the exact employee management software you need. Ximble Best for businesses that want timekeeping software with POS integration at a low price. Gusto Businesses that want affordable HR/benefits-compliant payroll software that integrates with Homebase. Assignar Construction businesses that need to schedule and communicate with field employees. Calimari Companies that do project management across multiple geographies and need to track team member availability. Planday Those who prefer building employee schedules in an Excel-like tool. TrackTime24 Companies that need to manage time and schedules of workers with extensive business travel. Teramind Businesses that want to track PC users' computer use and productivity. Jolt Food-industry businesses that want to track employee schedules, attendance, and food safety compliance. Resource Guru Similar to Planday, for those who prefer to do scheduling in a spreadsheet format. Shortlist Companies with a lot of employees who work remotely. Shiftboard Healthcare, education, events, hospitality, civic services, contact centers and logistics with industry specialization. Ascentis Mid-tier employers with 200 or more workers. TimeAttend by Replicon Larger firms with 500+ employees. Workforce management software can help you streamline complex tasks like scheduling employees for work and keeping track of their time. And most do more—improving job satisfaction with ongoing communication and employee self-service options. We find Homebase to be best overall for employee management software. Its pricing is free for one location with unlimited users, and it includes all of the above. Plus, Homebase offers performance feedback in an easy to use app that lets you export your payroll data to great payroll providers like Gusto at no additional cost. Hey, thanks for mentioning Shiftboard in your article! Thanks for sharing this option with our readers. I’ve left your link up so readers can check it out for themselves. Where is RosterElf based out of? What industries does RosterElf serve? The term roster isn’t typically used to reference workforce management or scheduling in the US, except in specific industries, like education (student-roster), or sports (roster of players). We typically update articles annually, and may take a look-see at this tool on the next go-round. Thanks for posting.